Cocktails & Dreams, Speakeasy is back with the popular cocktail workshop, and this one is like no other! Tulleeho Cocktail Gurukul in partnership with Cocktails and Dreams Speakeasy and Sip Sensei! 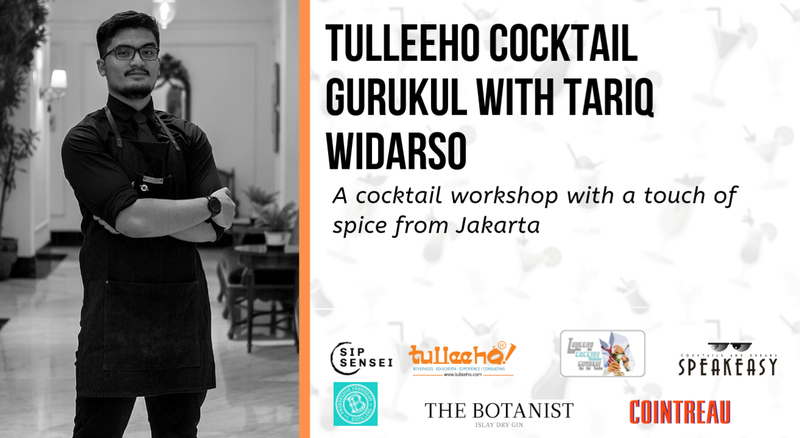 Tariq Widorso, a visiting “Liquorist” joins us from his native Jakarta, to bring to us a touch of spice from his hometown in this interactive cocktail workshop. Tariq will twist some classics, regale you with cocktail tales from across Asia and if you’re lucky, may even snap you for his immensely popular Instagram handle Sip_Sensei.